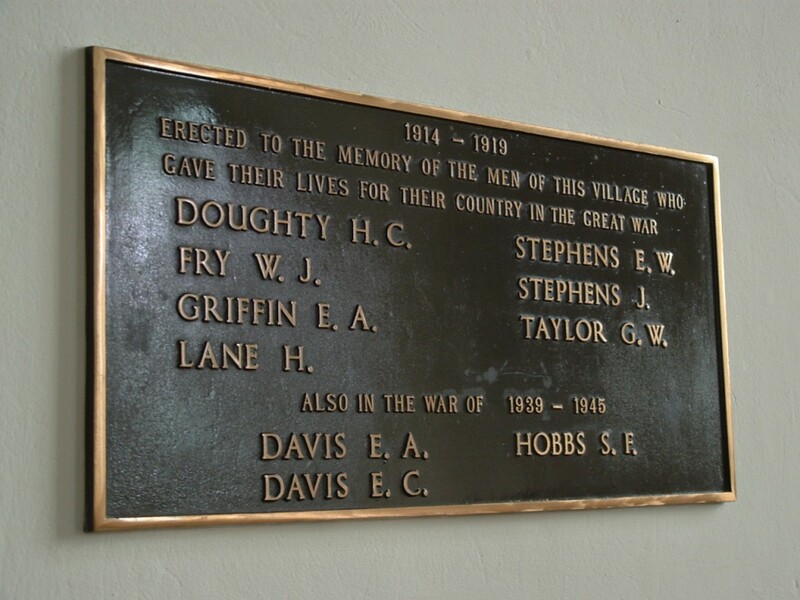 Would anyone care to tell me why James Thomas Davis’ name fails to appear on the Roll of Honour within the church (nor, for that matter, is it to be found on the local war memorial*)? And if there isn’t a reason, shouldn’t somebody do something about it? 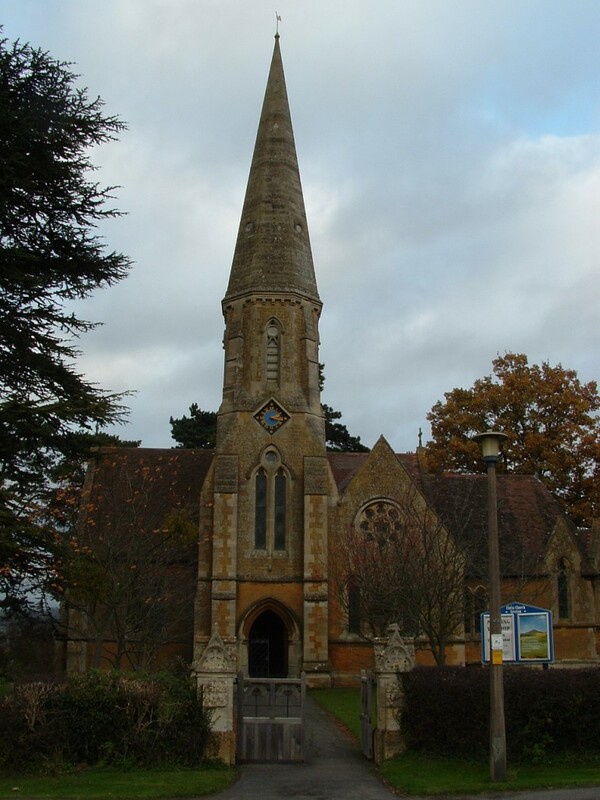 *photos of which can be seen elsewhere in the Gloucestershire section. 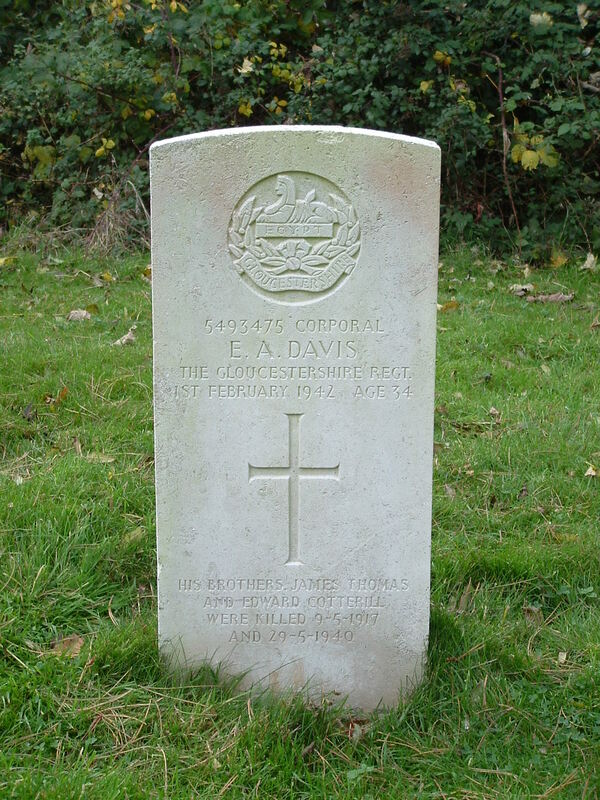 James Davis was killed in WWI when the family lived in Birmingham -was much older than Edward and Ernest. 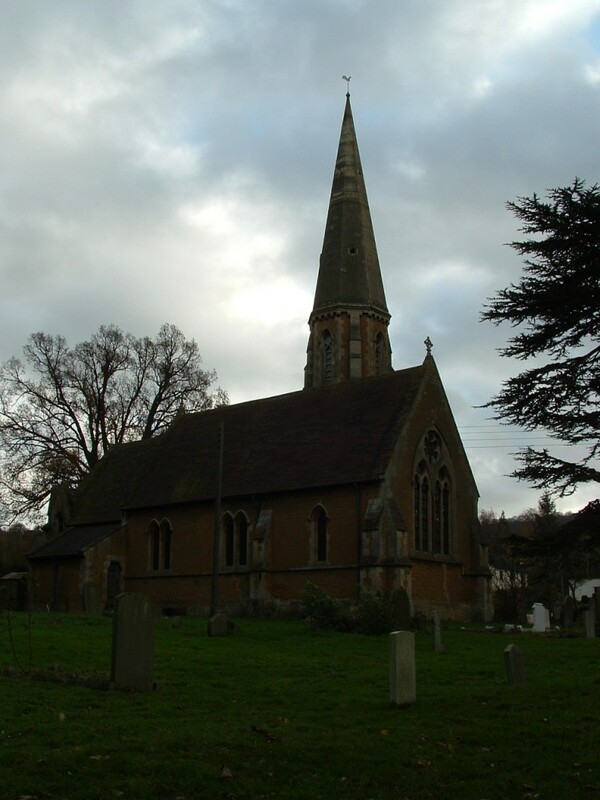 He is presumably remembered there, and had no connection with Gretton. 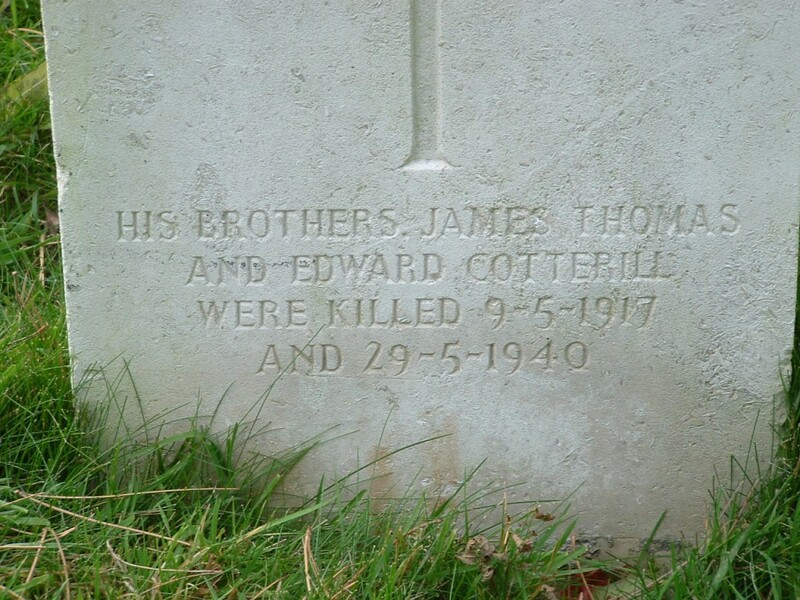 The family chose to have his name added to Ernest’s headstone. Some remain in the area but have never raised this and have little awareness of James now. You know what I like? I like it when you ask a question and get an answer. Much appreciated Carol.